Peace of mind coverage regardless of age.Genealogical Tourism is an increasingly popular type of travel as many seniors find personal fulfillment by having vacation with a deeper purpose. Senior citizens deserves to discover the joys of travelling and vacationing. Bajaj Allianz offering the Travel insurance for Seniors is for those aged between 71 and 80 years,and offers extensive coverage to provide protection to the elderly across the globe. Travelling Senior citizens abroad to a foreign land entails a lot of risk. Medical expenses in foreign currency and hospitalization can be prohibitively expensive. Bajaj Allianz travel policy covers you for all medical eventualities for just a fraction of the amount you would otherwise need. One of the important benefits of Bajaj Allianz Senior Citizen travel policy. Per baggage maximum of 50% and per item in the baggage max 10% + Any one illness-liability limited to US $12,500. Hospitalisation due to accident-max.liability-US $25,000.Over max.liability under this head-US $ 50,000, aggregate during the policy period.++Cash advance would include delivery charges. Per Baggage maximum 50 % and per item in the baggage 10 %.Cash Advance Would include delivery charges. Per Baggage maximum 50% and per item in baggage maximum 10%. +Cash advance would include delivery charges. International toll-free phone and fax number.Phone – +91 20 30305858,Fax – +91 20 30512207, Email – travel@bajajallianz.co.in. Routine physical examination where there is no objective indication of impairment of normal health. Delay of baggage e when the intended destination is in India. In case of any early return of the insured person prior to expiry of the policy period the company will refund premium at the following rates subject to no claims being incurred on the policy. 1.Can I buy insurance from overseas for my parents who live in India and coming to visit me? Will this policy be a valid insurance? A.Yes, you can buy Bajaj Allianz travel plan for your parents and relatives using international debit or credit cards. The email copy of the policy is a valid legal document and proof of your insurance cover. 2.Can I get travel medical insurance for senior citizens who are above 70 years? A.Yes, senior citizen travelers who are aged 71 to 85 years are also eligible to buy Bajaj Allianz travel insurance policy for 6 months with $50,000 coverage. Refer to Bajaj Allianz Senior Citizen Travel Insurance for more details. 3.What is the cancellation Procedure before the policy start date? A. The insured is expected to inform us and an e-mail should be sent by the insured requesting the cancellation.He/She should furnish policy number or schedule number in the email .There will be a Rs 250/- cancellation charges. 4.What are the documents required After the policy start date – IF the Insured has not Travelled? A. Proof that the insured has not travelled overseas,Photo copy or Scan copy of all the pages (including empty pages) of the passport,Reason for policy cancellation,Visa rejection letter in case of visa refusal by embassy. Please refer to the policy no.OG-17-9906-9910-00025785- Name:Saskunthala Sadayappa- date of birth:02/01/1946- travelling abroad from 24/08/2016 to 14/08/2016 (85 days). Though policy no. received to my mobile no.9443014546, policy document not yet received to my mail ID. Kindly verify and expidite. 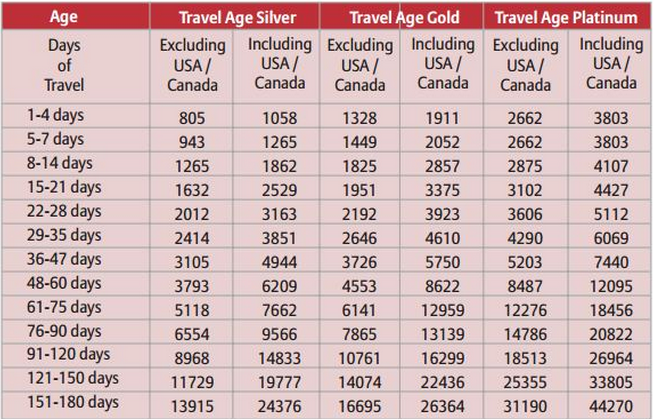 Is it enough to travel only with policy number ?